Our highly qualified independent surveyors can offer you advice on your property problems and can carry out a building survey on your prospective purchase; whether it is residential or for business. We can prepare a schedule of condition and property report in relation to your lease. 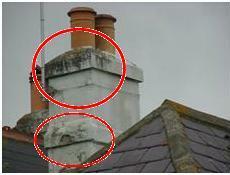 We carry out dilaps reports for landlords or tenants. We were recently travelling around doing our building surveys when we came across a garden the likes of which we have not seen before. 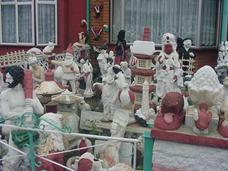 The entirety of the front garden was filled with gnomes, possibly a few elves and some other figurines that you may describe as statues. It brought a smile to our face although it may not be great if you are a neighbour. It did remind us of the shark going through a roof that we saw many years ago that we believe relates to a planning dispute that has now become almost a tourist attraction. If you are ever in the Oxford area it is worth a visit. It also does raise interesting questions about our planning laws which we won't get into here. We did wish for this article to have a slightly serious note that's with regard to local authority approvals. We define these falling into two areas with regards to homes and commercial properties that's planning permission and building regulations. Planning Permission looks at the aesthetics of how alterations blend in or affects adjoining properties and the location. This looks at the way the alterations have been carried out from a good practice point of view and health and safety point of view. Should solicitors be giving opinions on planning and building regulation permission? We recently had two cases where solicitors had given opinions on planning and building regulations where we have advised as part of our survey that they haven't got planning and building regulations. In one case the solicitor quite rightly referred it back to us for further advice and we explained the situation to the solicitor. In the other case the solicitor advised the client to not be overly concerned with the lack of planning permission and building regulations as after so many years it would be approved. Our point was that the solicitor had missed the point! The reason we have planning permission and building regulations is whilst they are not perfect they are there to help everyone to some extent. They are there to protect the client from unscrupulous builders and the neighbours from unscrupulous developers. Is planning permission and building regulations nee ded for a loft conversion? For example in this particular case the house had been extended into the roof space and into the garage. Whilst both extensions were originally well done and the roof windows that the loft conversion had did not overlook anyone, they were the only ones we could see to the front of the property and the road that did look different. The garage conversion that they had done effectively had a window looking down the road at an angle. Because it was in the garage it was unusual (side window) although in our opinion it is unlikely to get planning permission, however we only do have an opinion and without drawings and formal approval no one will ever know. It may get approval but the fact is that it doesn't have approval at the moment we feel causes concern when selling the property. Equally the building regulations which we would say to some extent have had to save builders and developers from themselves didn't have approval. This causes much greater concern as it means that materials may have been used that are not suitable or strong enough. Unfortunately despite crawling around the roof space and viewing the roof with a times 16 digital camera/ binoculars and a very good appreciation of how the property was originally built we simply couldn't see all the elements to confirm that the loft conversion had been built to planning permission and building regulation standards. Whilst we are on the subject of loft conversions let us talk a bit more about modern roof construction. The roof timbers now are absolute minimal in size compared with what we see on older properties. They are what we term as an engineered roof. Over the years we have seen these get thinner and thinner. We could see some elements that definitely hadn't where roof timbers had been cut to allow access to different areas. In our experience all roof timbers are absolutely necessary particularly on a modern engineered property where there is next to no tolerance in roof trusses unlike the older roof trusses that were over designed; they are the roof trusses or the cut roofs that were simply over designed. So this leaves us in a situation where the legal advisor is saying carry on and they can insure against any problems which is quite true and we are saying that the planning and building regulations approval have not been obtained and where we have checked we could see that there are problems with the way it has been constructed. The reason why we are particularly concerned with this one is that we had also dealt with a case earlier that month where building regulation and planning permission had not been granted. 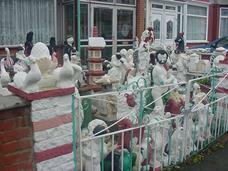 Our solicitor simply said walk away from the property. The people in the property had already had several people pull out of buying their property and when our client pulled out they were not particularly surprised however they still felt that they would get someone sooner or later. However some two months later when our client was now in their new property a phone call came through on the mobile phone saying would you be prepared to negotiate on the price so obviously they were still having problems selling the property. If you need help and advice with regard to structural surveys, structural reports, engineers reports, specific defects reports, dilapidations home buyers reports or any other property matter please call 0800 298 5424 for a friendly chat. Why we recommend you have a building survey? If you are moving house or having any property issues then an independent Surveyor can help provide a comprehensive survey report on a building whether that be residential or commercial. Remember the independent building Surveyor that you employ will be the only person working for you with your interests at heart. We use many photos and sketches which we have commissioned in our building survey reports to make the problems as clear and as easy to understand as possible. We also highlight certain areas with ovals and sketches to make the problem area as clear to you as possible like the example below. If you have had a project go wrong you may want to visit our sister website www.DisputesHelp.com and for Dilapidations Help then please visit our www.DilapsHelp.com website.